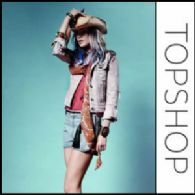 London, Jan 4, 2011 (Global Fashion Wire) - UK major style authority Topshop, part of the long-standing retail force the Arcadia Group, has revealed a first look at its Spring/Summer 2011 collection. 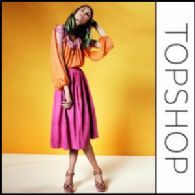 As Spring/Summer will be here before you know it, Topshop have delved into its collections to bring a first look at its favourite new trends! Take style notes as it reveals the pieces that will reinvent your wardrobe - these are the looks that are set to determine the fashion landscape and will be on every girl's wish list come spring! Cut-out detailing and an arts-and-crafts feel are key this season. 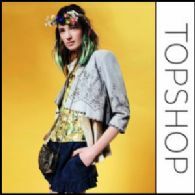 Layer laser cut suede over floral prints and crochet to capture the naive, folksy feel. 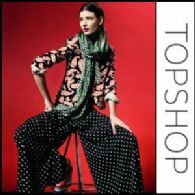 Fluid 70s-esque silhouettes are plastered with playful polka dots, graphic paisley prints and crazy florals. Wear them all at once! For spring, more is definitely more. Set into tarnished gold and dark brown leather, earthy red and turquoise stones bring the Wild West to mind. Just add faded denim and a straw hat for desert cool. Spring's hottest accessories pop in beautifully bight shades. 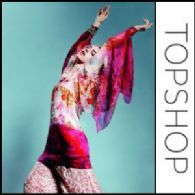 Bold rainbow hues should be mixed and matched for a serious colour crush. Go the extra style mile in a calf length skirt - it's a new season must-have! Clashing sorbet shades take the ladylike out of swinging pleats, sheer blouses and sandals. The kick flare steals the style limelight this spring. 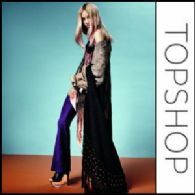 Styled up with feather prints, clashing textures and the must-have wedge, they're given a hedonistic fold rocker feel.